I come from a very large family, and my nephew turned one last week and so we celebrated in style. 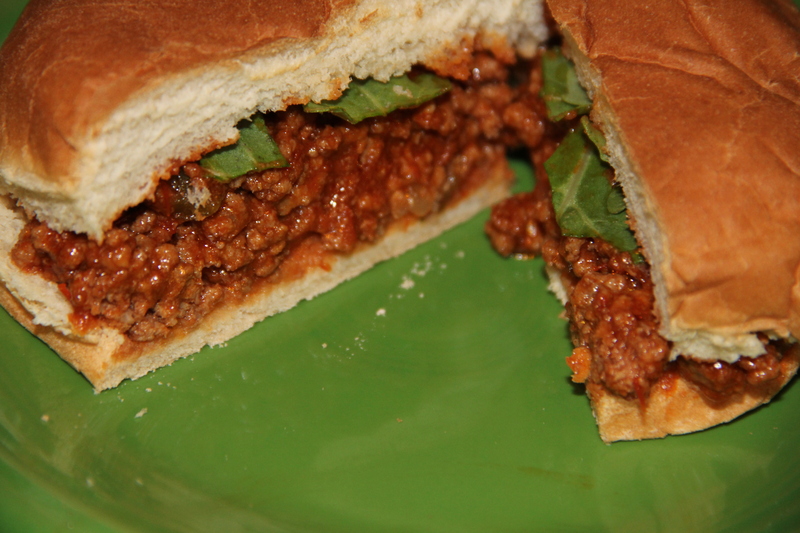 It was a collaborative effort by friends and family with ideas from everyone and Pinterest. It turned out so cute I thought I would share some of the highlights. The cake above came from the very talented Creative Wine-O, check out her facebook page here. The detail was stunning. 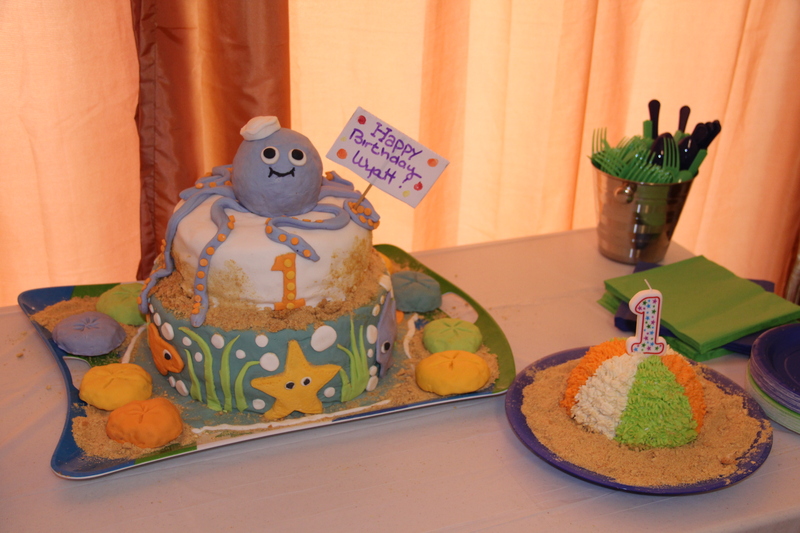 The beach ball was the “smash” cake and even the sand dollars were edible. To celebrate his first revolution around the sun my sister made a timeline, featuring a picture from each of his 12 months. 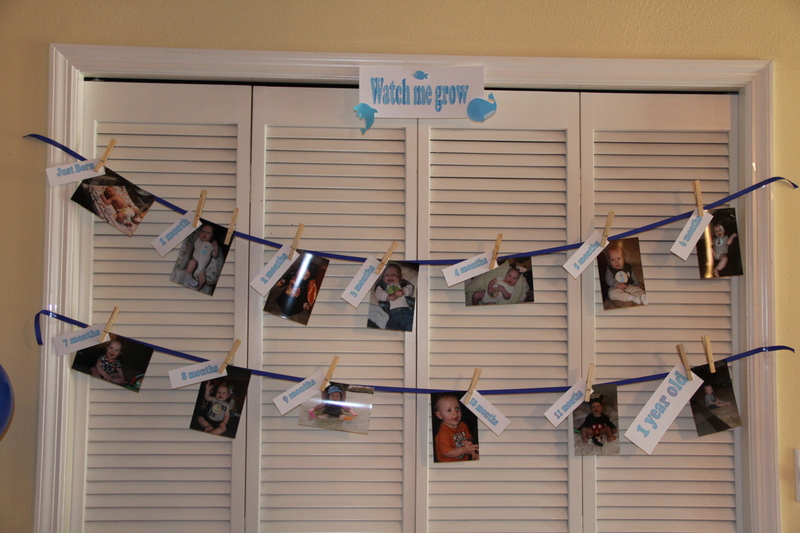 Use ribbon and clothes pins to hang. Make sure you put it in a place that is easily accessible so all guest can admire it. We also used this as the back drop when he ate his birthday cake. We placed his high chair in front. 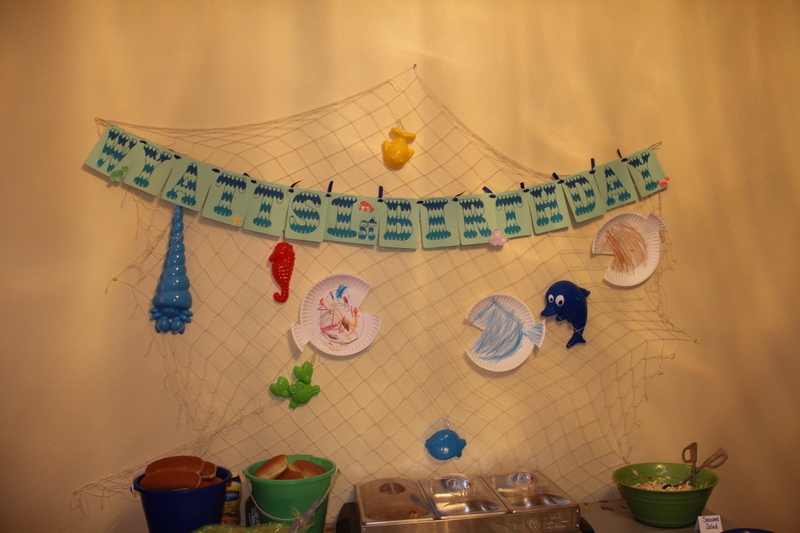 We hung a fishing net ( available at party stores) over the main food table and attached sand molds to it. We also had a craft table so that some of the older kids could make paper plate fish to hang in the net. We also used sand buckets and shovels to serve some of the food in. 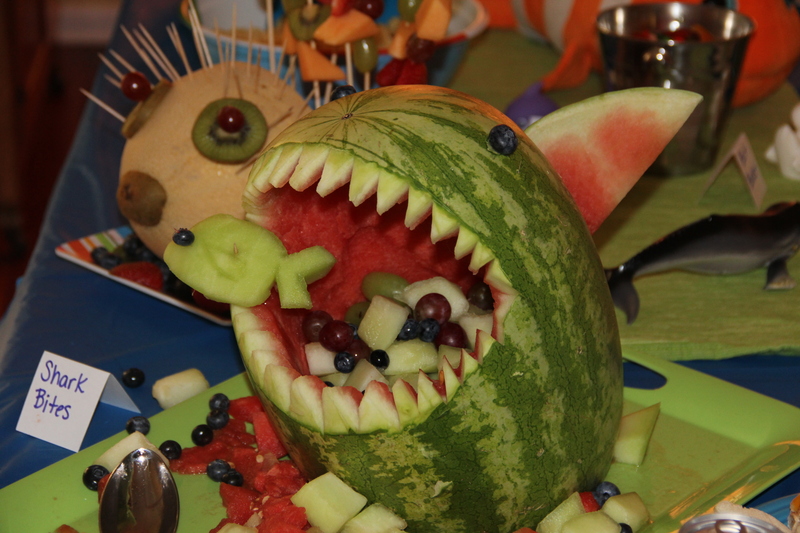 One of the highlights of the food table was this awesome watermelon carved into a shark by my brother-in-law. 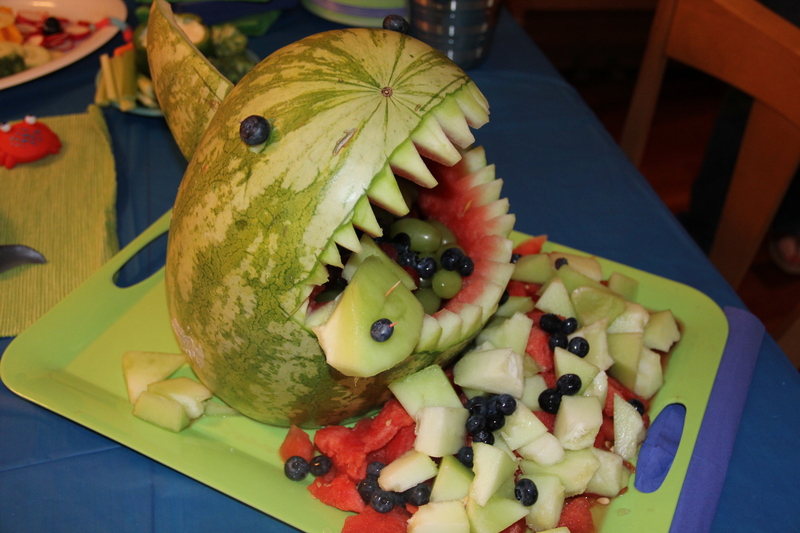 We then filled it with various cut up fruit. 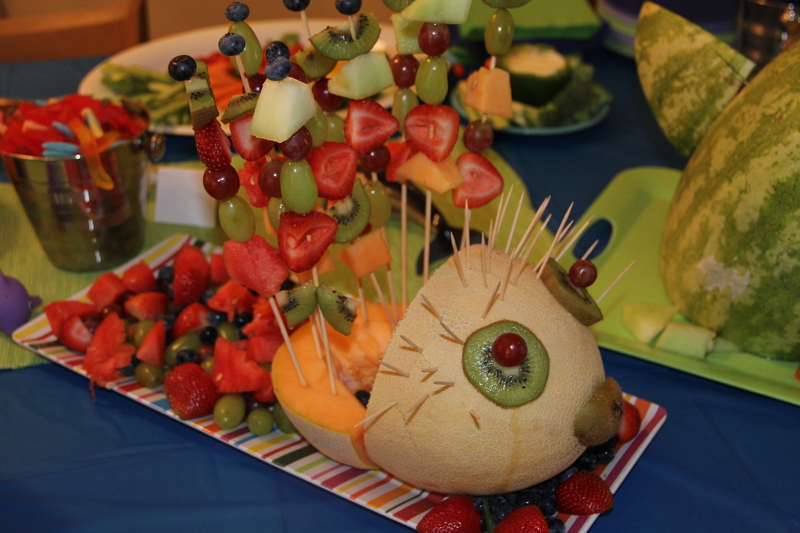 He also made a cantaloupe into a blow fish. 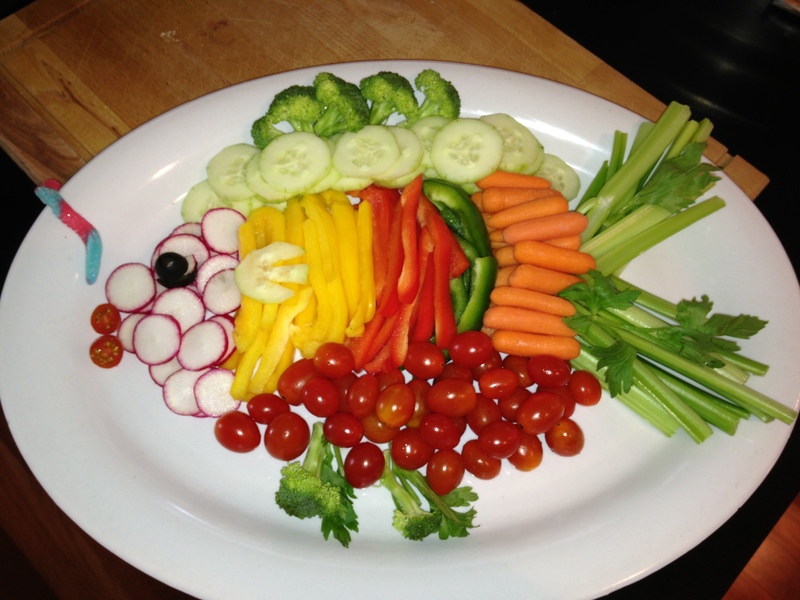 Vegetables morphed into a tropical fish. 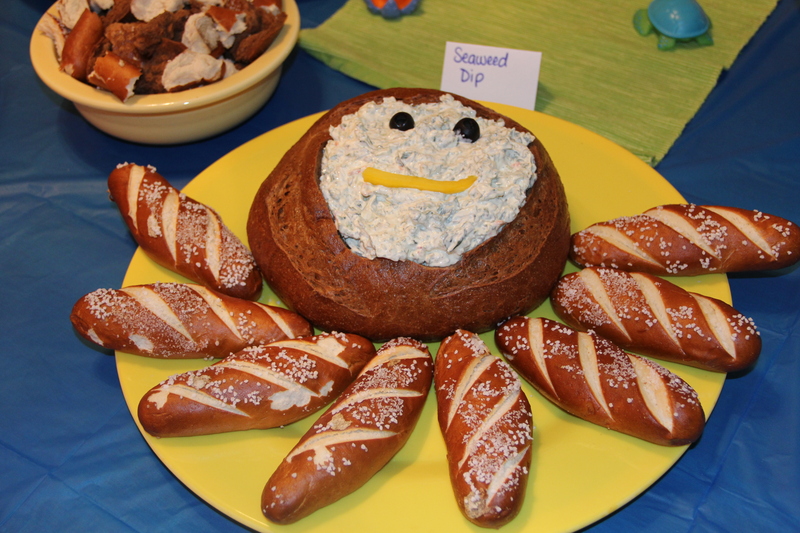 Spinach dip was turned into a jolly octopus using a bread bowl and pretzel sticks. 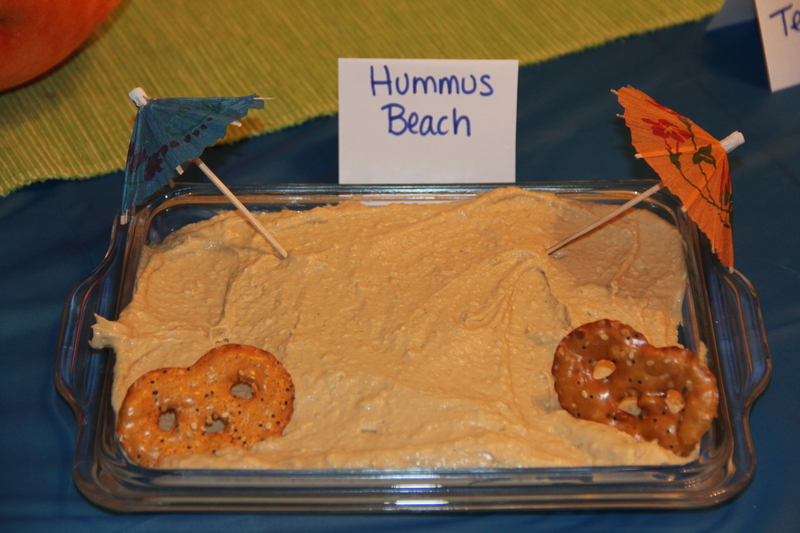 Make your own hummus beach by spreading hummus in a shallow tray ( I used a clear lid to a casserole) and decorate with drink umbrellas and Pretzel Crisp crabs. 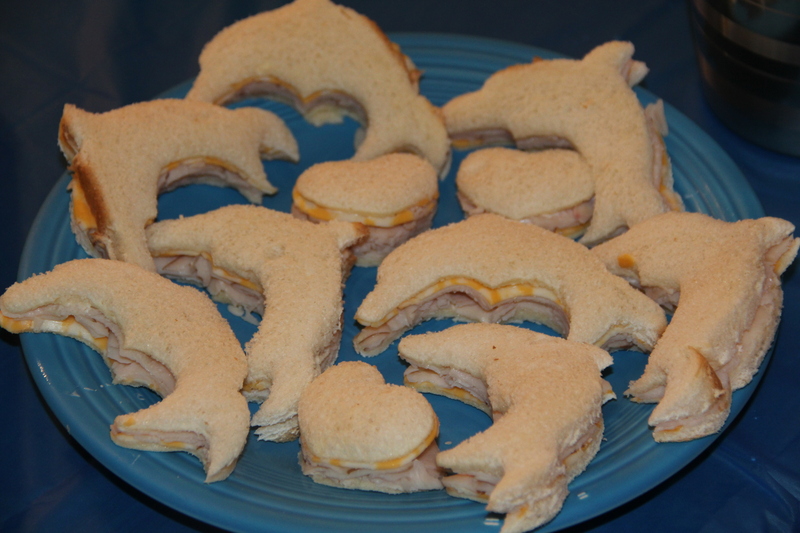 I found a dolphin sandwich cutter at Sweetbay, perfect to make mini sandwiches for the kids. 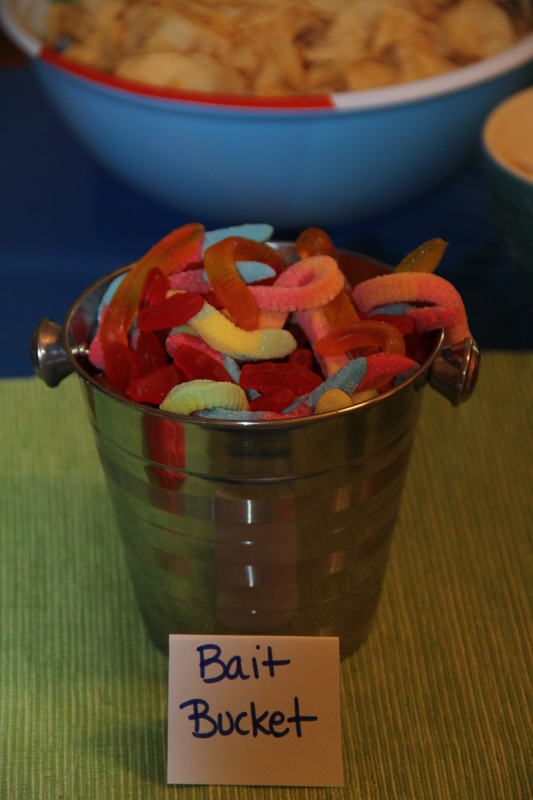 Swedish fish and gummy worms turned into an edible bait bucket decoration. Each child got to take a bit of the fun home. 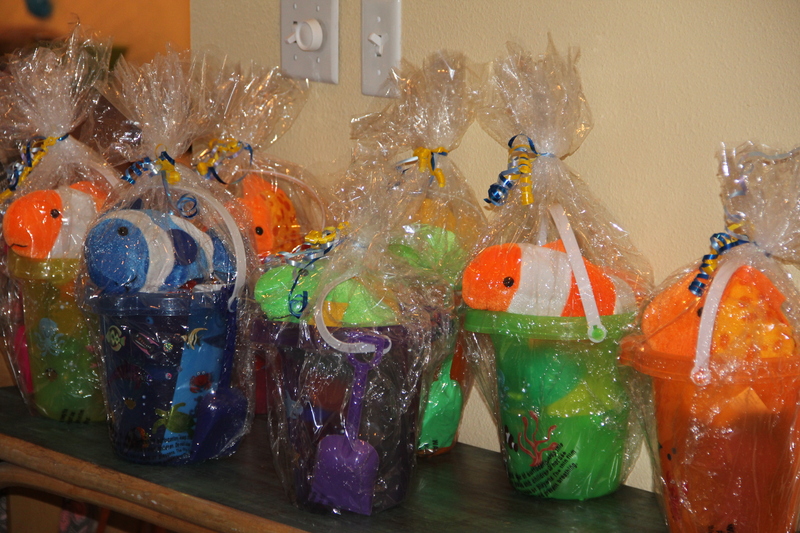 Our good family friend made party buckets out of plain sand buckets decorated with stickers and ribbon and filled with beach themed goodies from the dollar store. It was a true success and a joyous celebration of one of our youngest family members birthday. 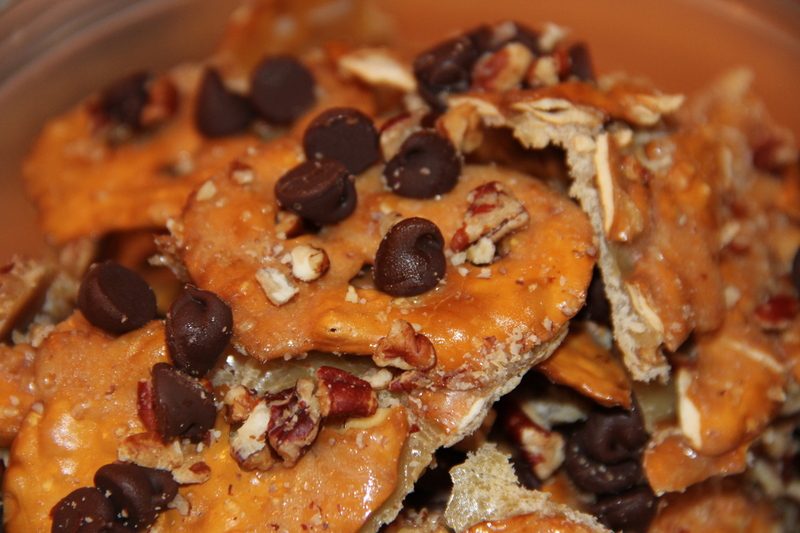 I couldn’t wait for the Holiday Pretzel Crisps to come out so I made these today. 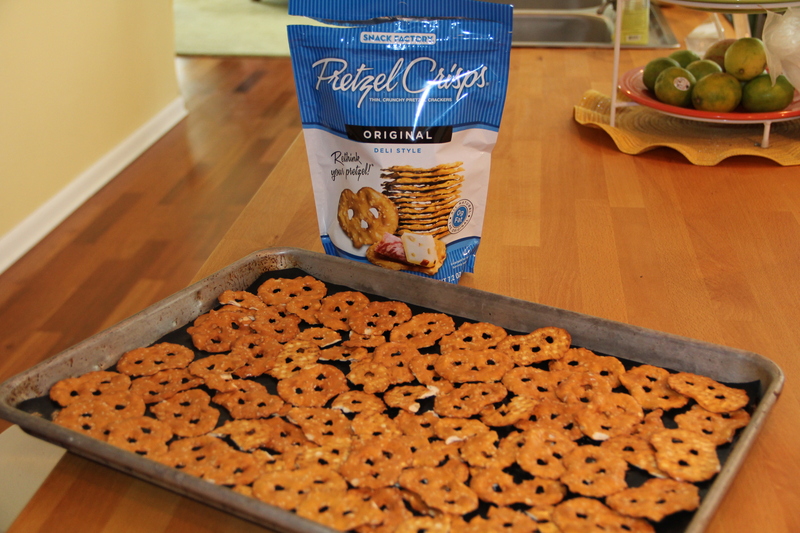 Lay Pretzel Crisps evenly on the pan. 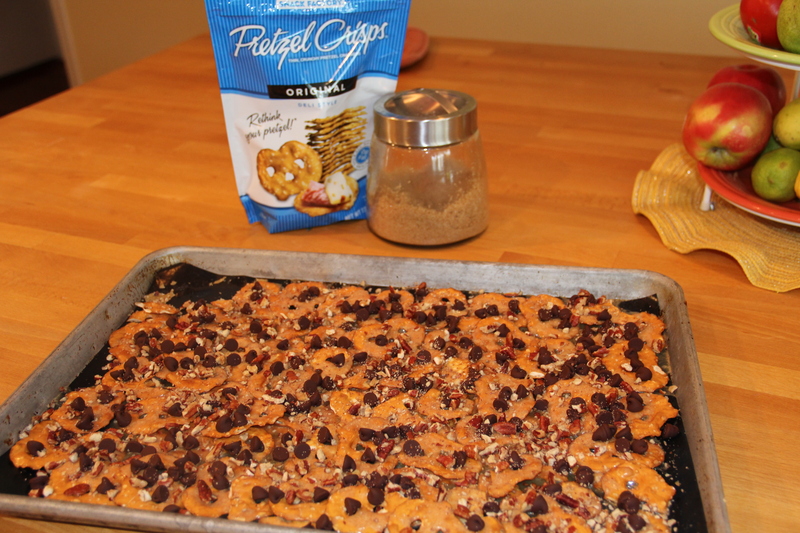 Remove from oven and scatter chocolate chips and nuts over the top while still warm, slightly pressing them down with a rubber spatula to help them stick. 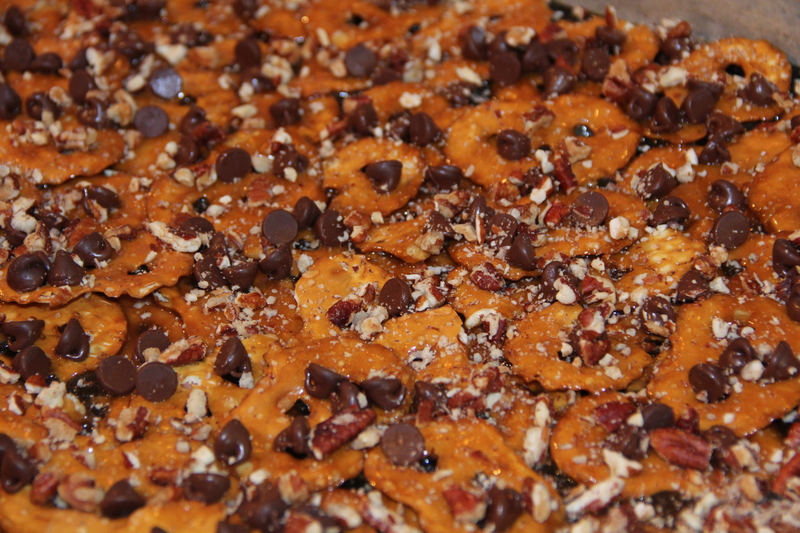 Refrigerate baking sheet for at least 2 hours or until candy is hard.Break into pieces. Store in an airtight container. 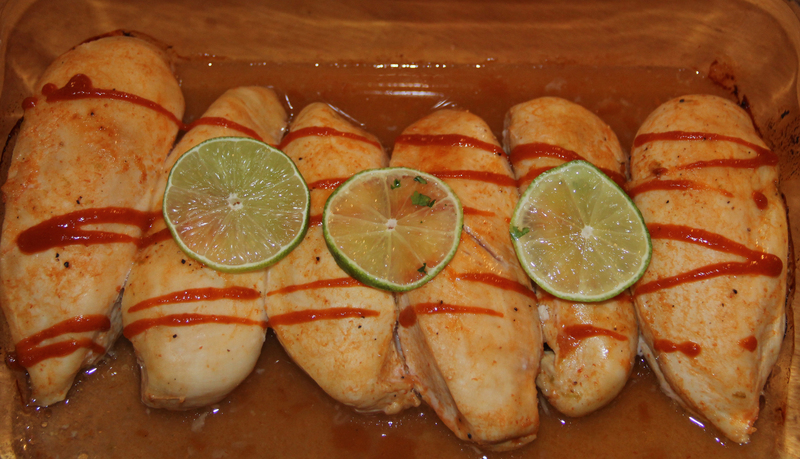 Mix together pour into a large zip lock bag and add 4 – 6 chicken cutlets. 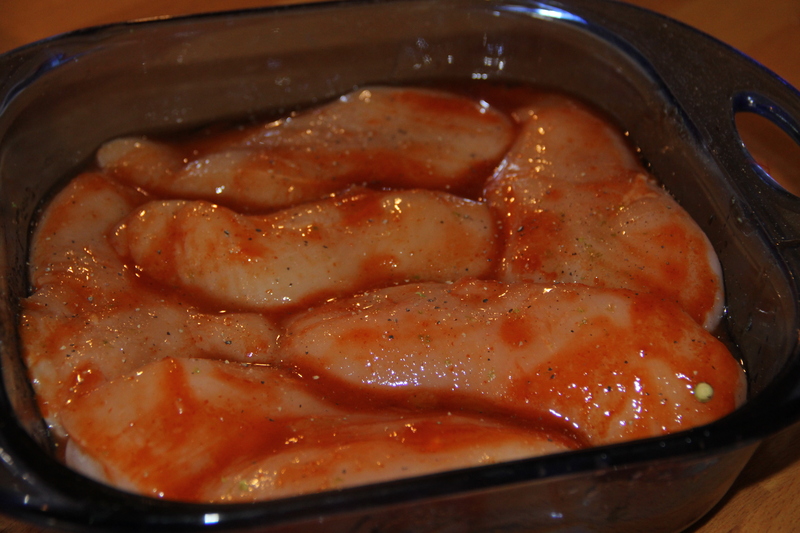 Seal and refrigerate 30 min to 2 hours. Grill over medium high about 5 min per side depending on thickness ( alway check temp with a meat thermometer to ensure doneness). 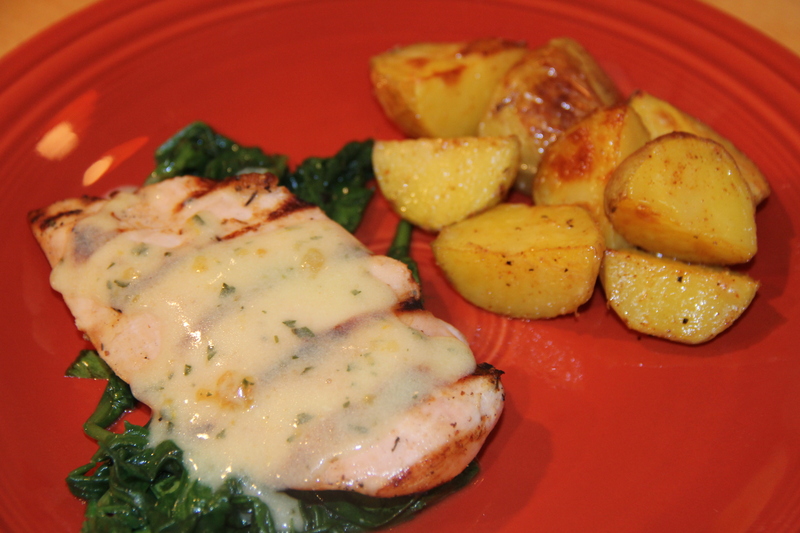 Follow Bernaise sauce directions, then add juices and zest stir and cook about 2-3 minutes over low, add chopped fresh parsley if desired. 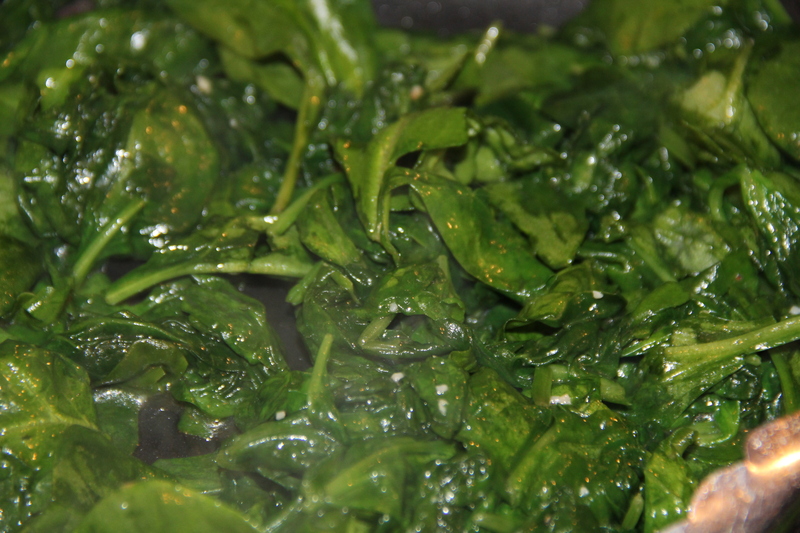 add spinach and garlic and cook over low heat, stirring constantly until spinach is just wilted. 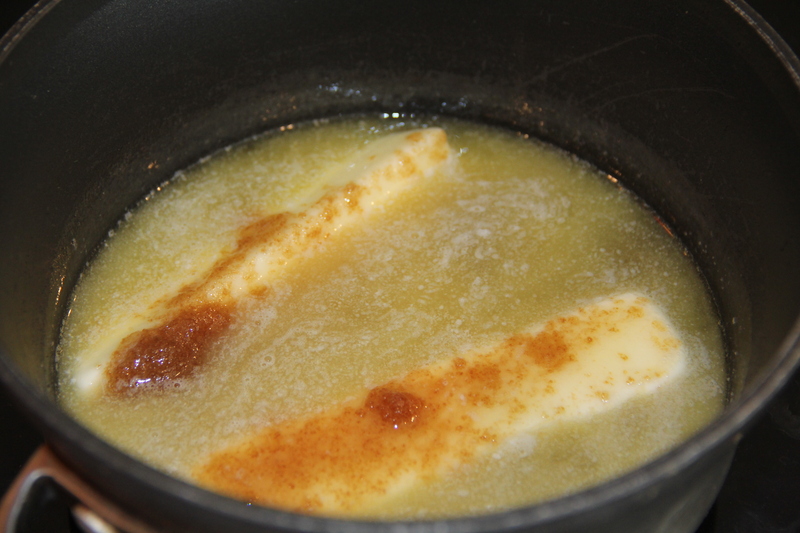 Remove from heat, do not over cook. 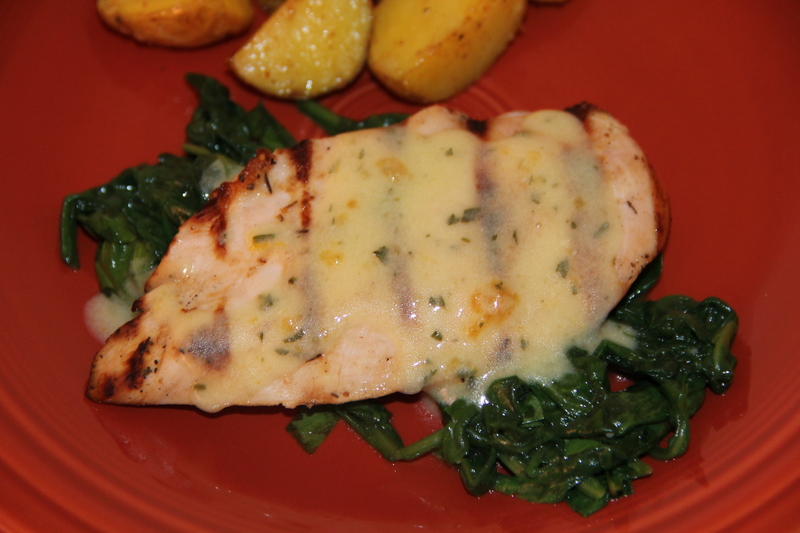 Place spinach on plate, top with grilled chicken and ladle Bernaise sauce over top. 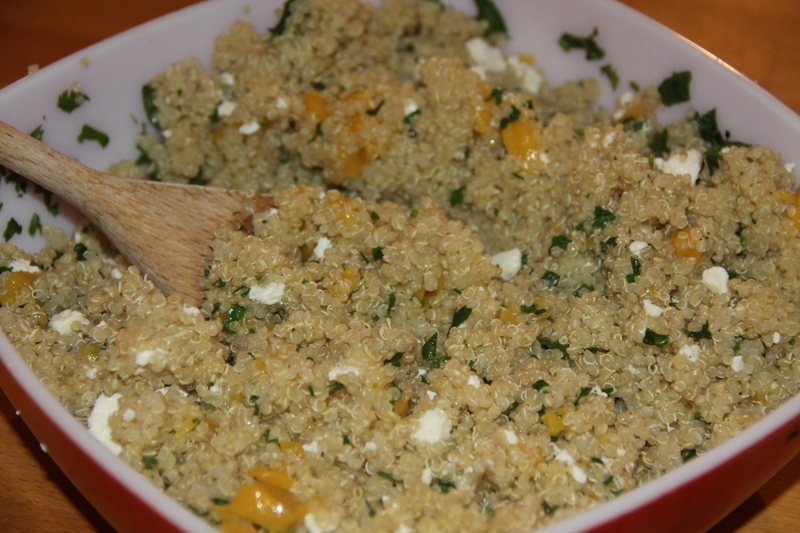 Quinoa is a food trend that is delicious and healthy. It is as versatile and as easy as rice. 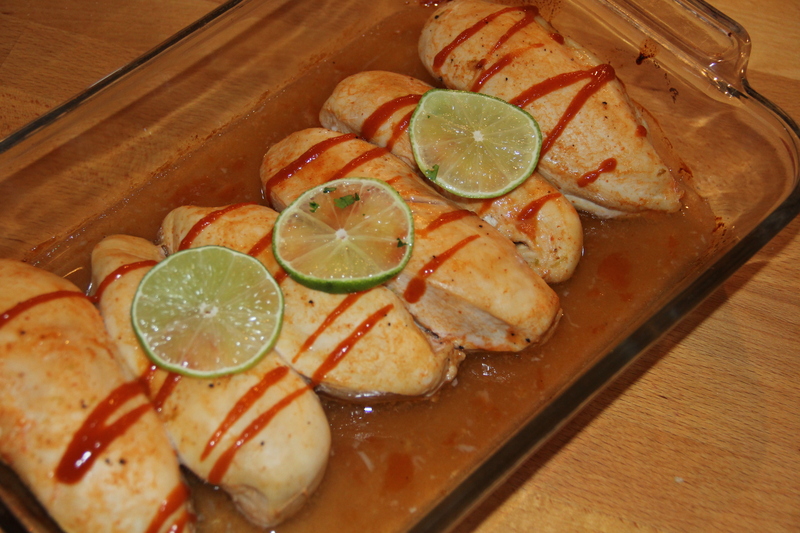 This recipe is a perfect side dish to a spicy entree like jerk chicken, Hot wings or Spicy Lime and Honey Chicken. 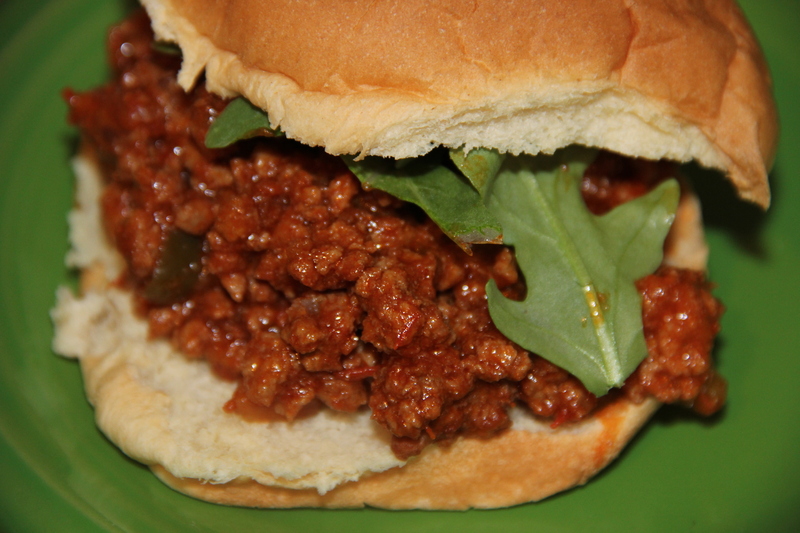 Try incorporating it into some of your weekday dishes. 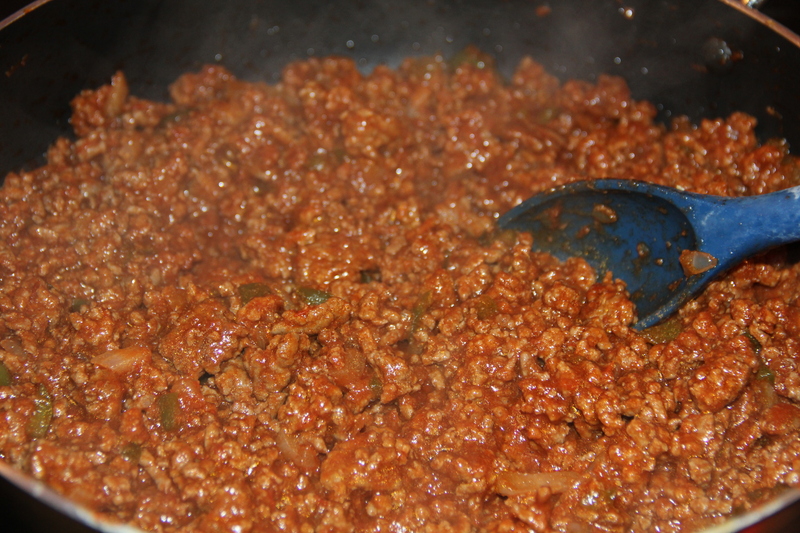 For ease and clean up I make mine in my rice cooker. 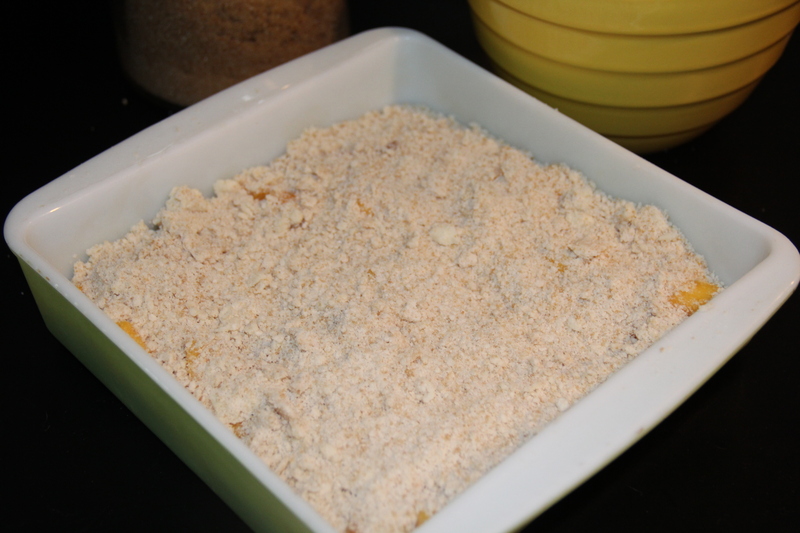 Add water and quinoa to the rice cooker and turn on, when quinoa is finished pour into a large bowl and add remaining ingredients, stir and serve. 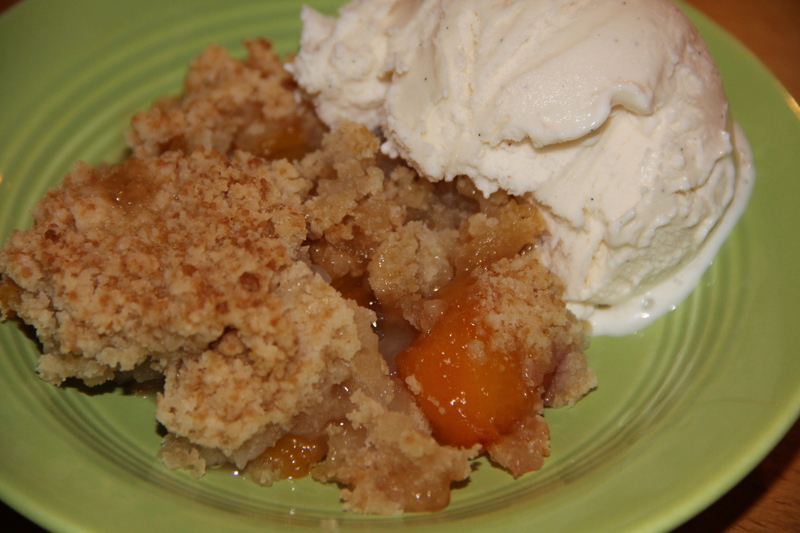 Easier than pie dessert, crumbles have all the flavor and none of the work. 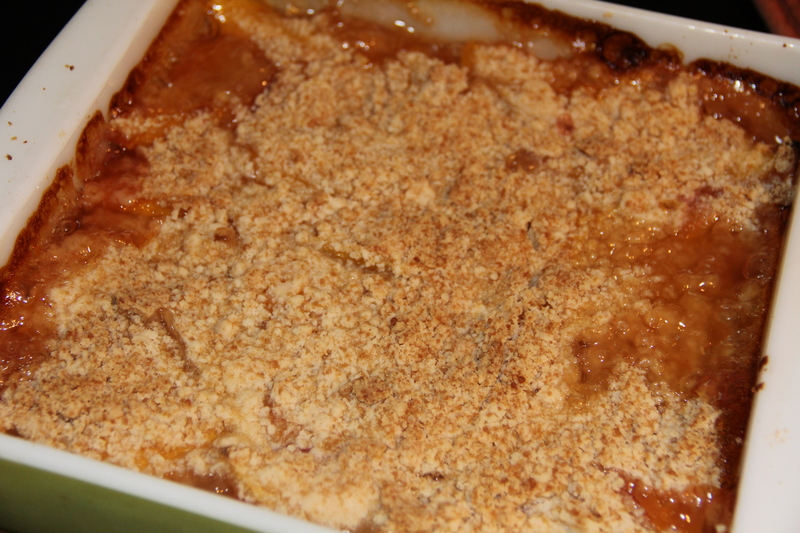 Try this one with the Summer peaches that are on sale and in stores now. Preheat oven to 375. 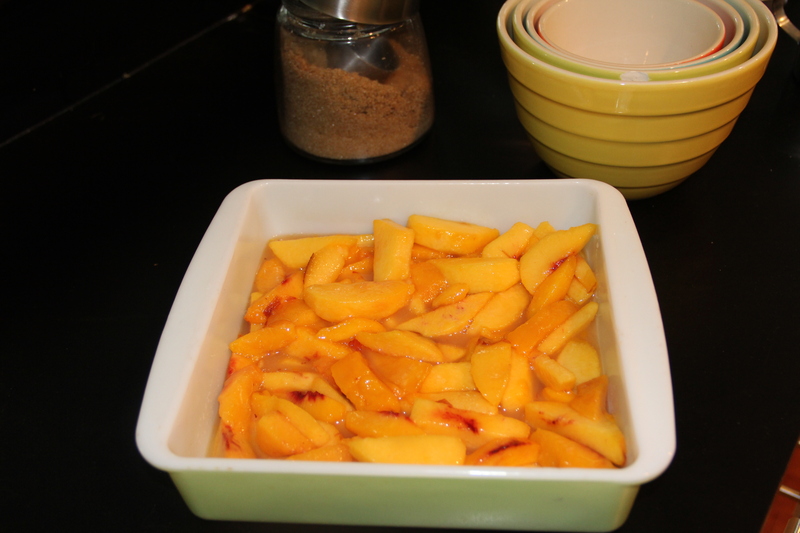 Mix peaches with sugar, corn starch, vanilla and salt in a 8×8 baking dish. Let sit. 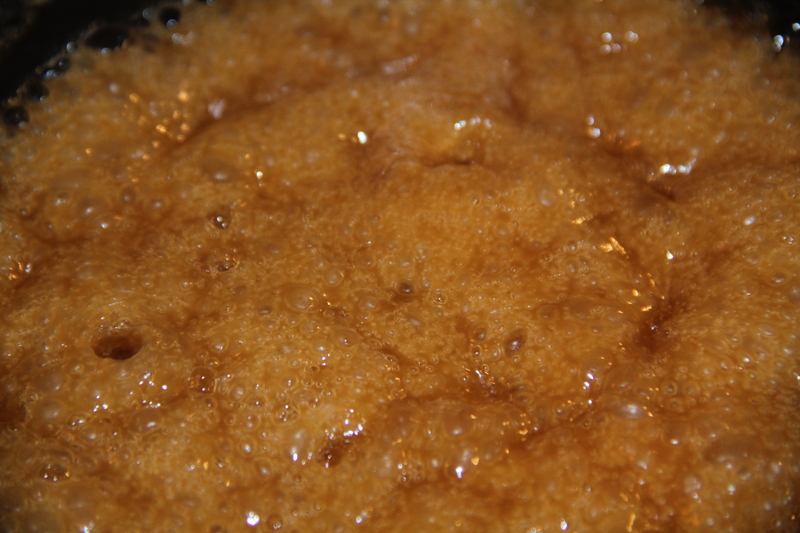 Meanwhile mix butter, sugar, cinnamon and flour in a mixer until it forms a crumbly mixture. Pour on top of peaches. 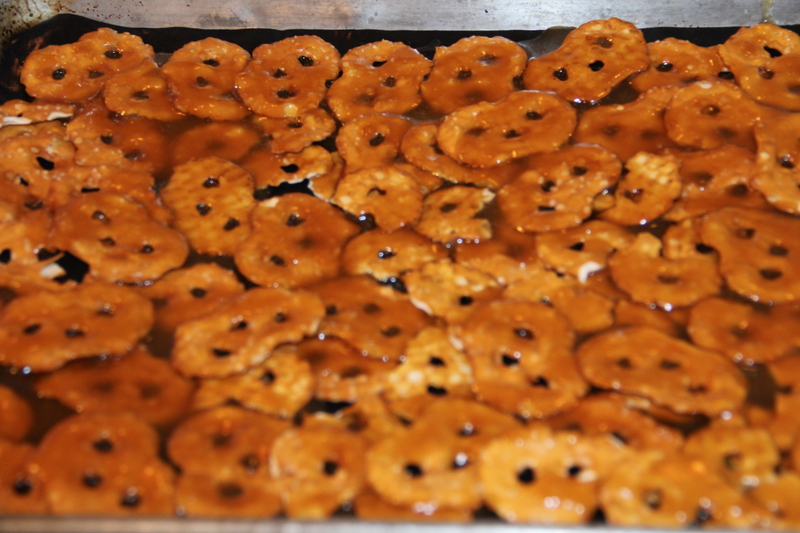 Bake for 40-45 minutes or until golden brown and bubbly. 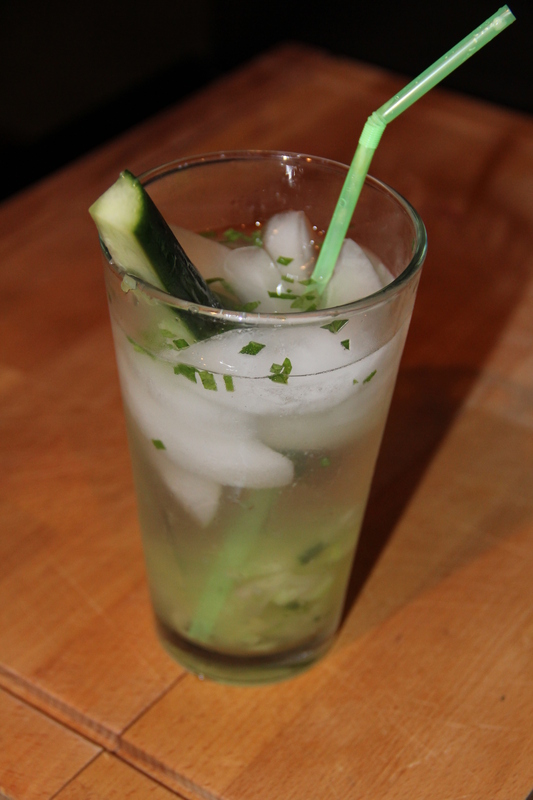 Cool and serve with ice cream or whipped cream if desired.